Arsene Wenger has offered an update after Arsenal suffered four fresh injury concerns during the 2-1 defeat to Manchester United on Sunday afternoon. Henrikh Mkhitaryan made his return to the starting eleven after recovering from a knee ligament injury and looked sharp as he scored a lovely equaliser against his former side at Old Trafford. However, the Armenian international needed treatment after taking a knock to his knee and was eventually replaced by Joe Willock midway through the second half. 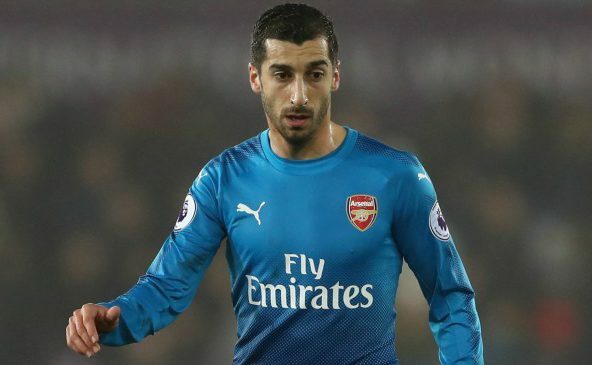 Unfortunately it was the same knee that Mkhitaryan damaged earlier this month and Wenger has suggested he may have aggravated the injury which would make him a serious doubt for the trip to Atletico Madrid. 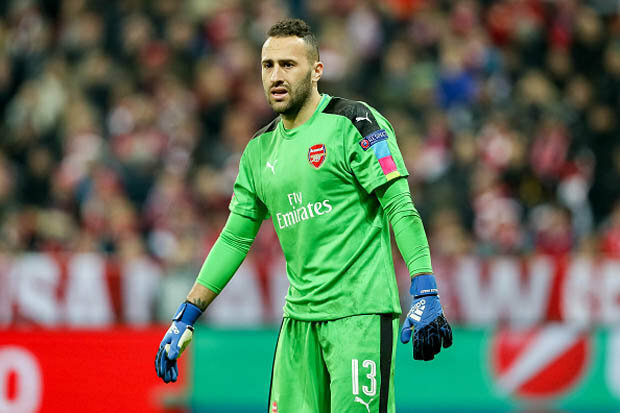 David Ospina also required treatment from the medical staff in the second half after taking a knock to his rib but he was able to carry on and complete the full ninety minutes. Alex Iwobi also finished the game at Old Trafford but he was seen stretching his hamstring during the closing stages of the match and Wenger says the trio will all need to be assessed over the coming days. I took off Mkhitaryan because he had a little knock on his knee again, on the same knee – we could see that just looking at him in the dressing room. Ospina has a rib problem and Alex Iwobi has a hamstring problem, so we’ll see how well everyone recovers. Thursday will come very quickly. Definitely? At the moment, no, but we’ll have to monitor them over the next 48 hours. We’ll know more on Tuesday. There was no mention of Sead Kolasinac in Wenger’s update but the Bosnian international limped off with an ankle injury against United so he’s also going to be a major doubt to face Madrid. We travel to Spain on Thursday night for the second leg of our Europa League semi-final having been held to a frustrating 1-1 draw at the Emirates so we have a real battle on our hands to progress to the final. Let’s pray none of these injuries are anything serious as we need a strong squad to be available if we’re to stand a chance of beating Madrid.